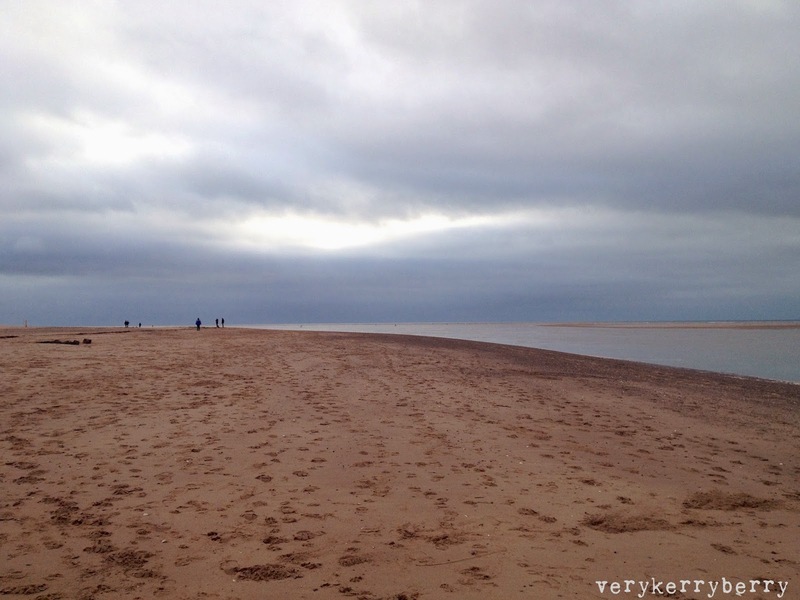 I'll take more light in any form at this time of year. This week included a trip to the beach, a couple of visits to ponder in my local cathedral and light a candle, and the making of gifts (Drawn Together pattern from Little Quilts). I love the build up to Christmas. I always feel a little broken at the end of term. I finished work this Friday. 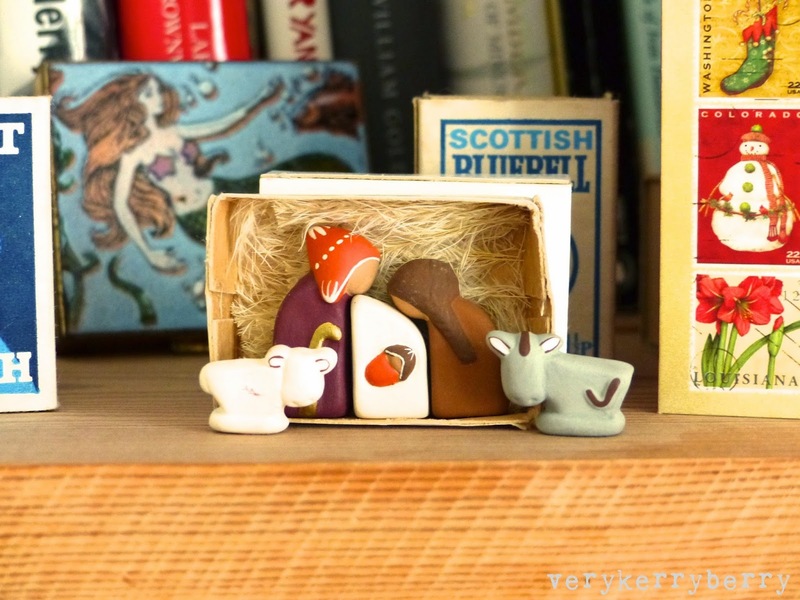 I am hoarse, sore with some deadlines to work on but the cosiness of the next few days as everyone gets ready for feasting, gifts and games is balm to the soul. December at Eternal Maker: Sale this weekend! Starting off this month's final sponsor visit with a weekend sale at Eternal Maker- 10% starting today, online only and running until Sunday. 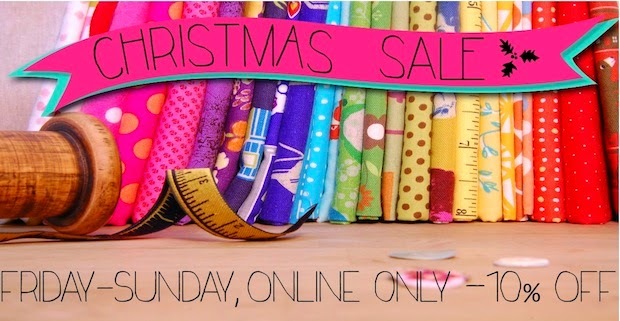 Lots of new fabric has arrived and been uploaded to the website this week so what a great time to have a sale. 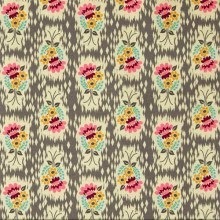 Starting with Tula Pink's newest line, Bumble. This collection is apparently super soft. Read Deborah of Whip-Stitch.com description here. 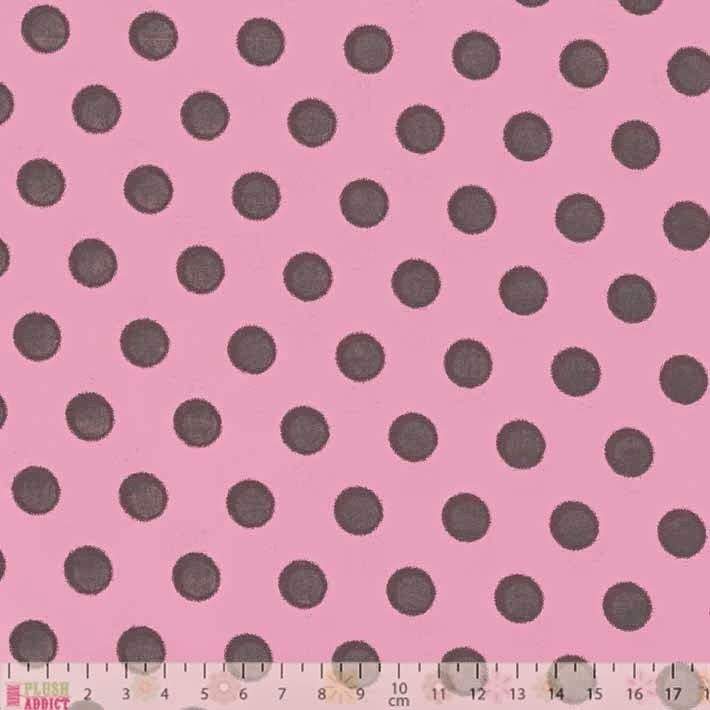 The words 'peached poplin' never sounded so good! 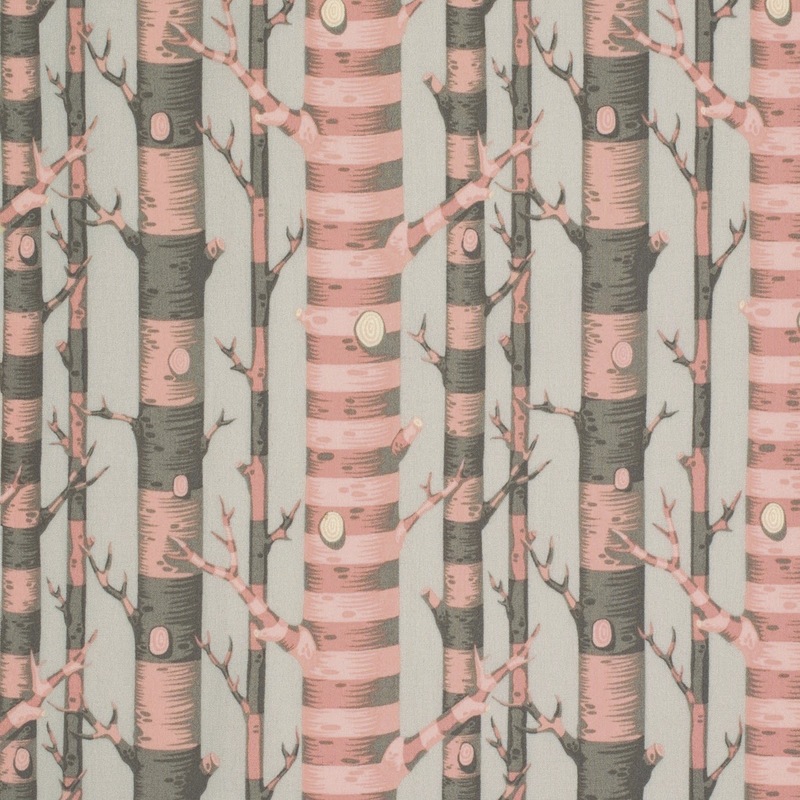 This is Forest Stripe in Sorbet. 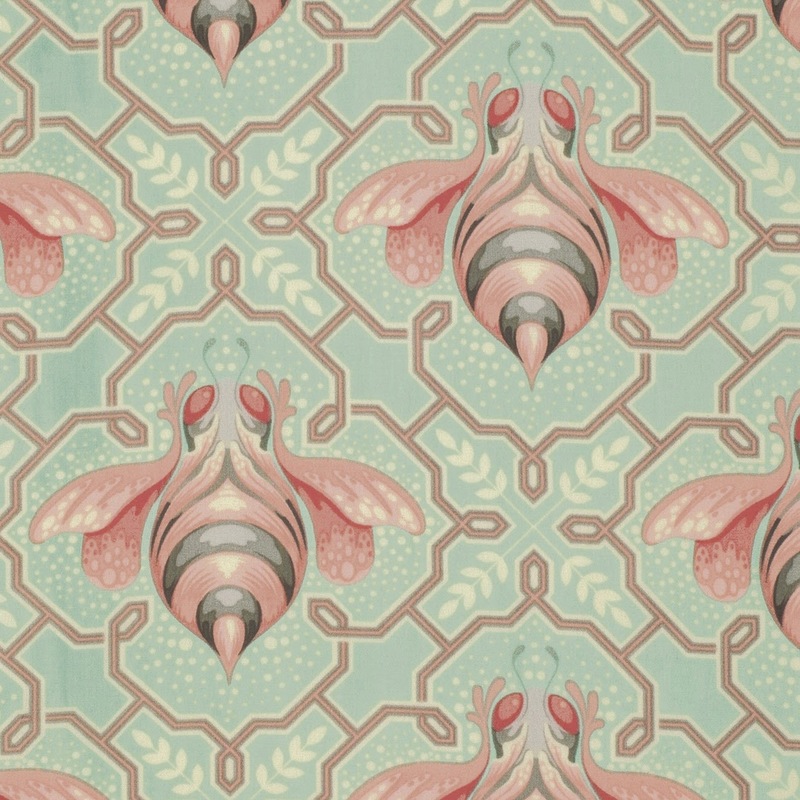 and this is Bumble Bee in Jade (find the other prints here). Bumble is available on pre-order, due late December and the sale discount still applies! I have mentioned Doe by Carolyn Friedlander many times since it was released and UK stores were lucky enough to get the early deliveries but I am happy to mention if again. It is a great range of blenders and basics with an edge. Superb colours and a great addition to a project. 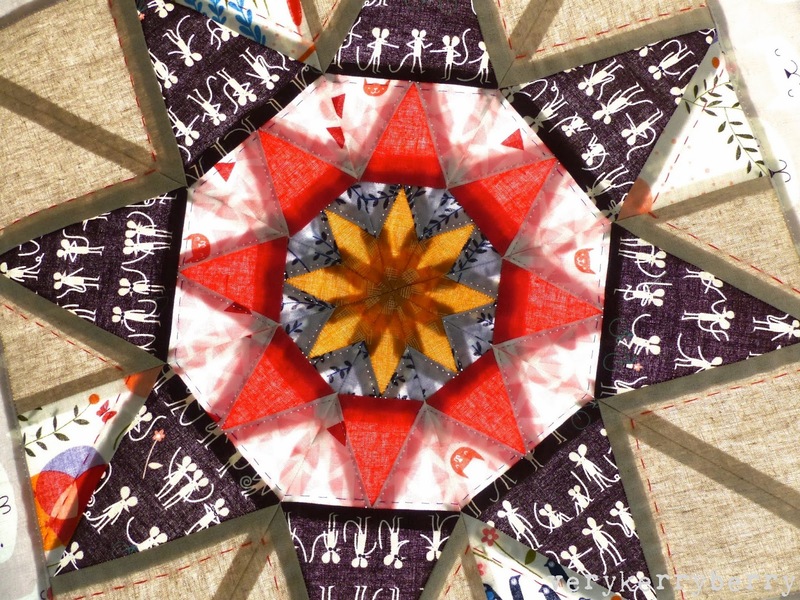 I have been using this print for the centre of a star pillow and it has a lovely glow, Weave in Yarrow. And if you fancy a little bit of each print, the Doe charm pack fits the job nicely! 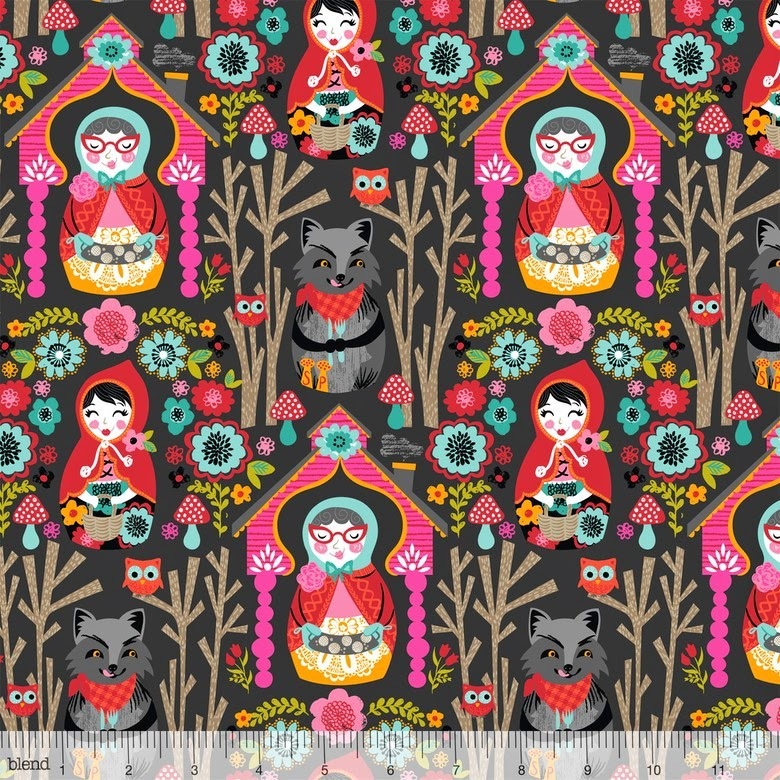 Eternal Maker does cute and kawaii fabrics better than any other UK store (in my humble opinion) and Josephine Kimberly's new Red Riding Hood range is the perfect addition to their fairytale themed stock! Its a rich, vibrant folkloric range with a choice of dark/light and coloured backgrounds. I know many of you will enjoy the cuteness overload in this print. 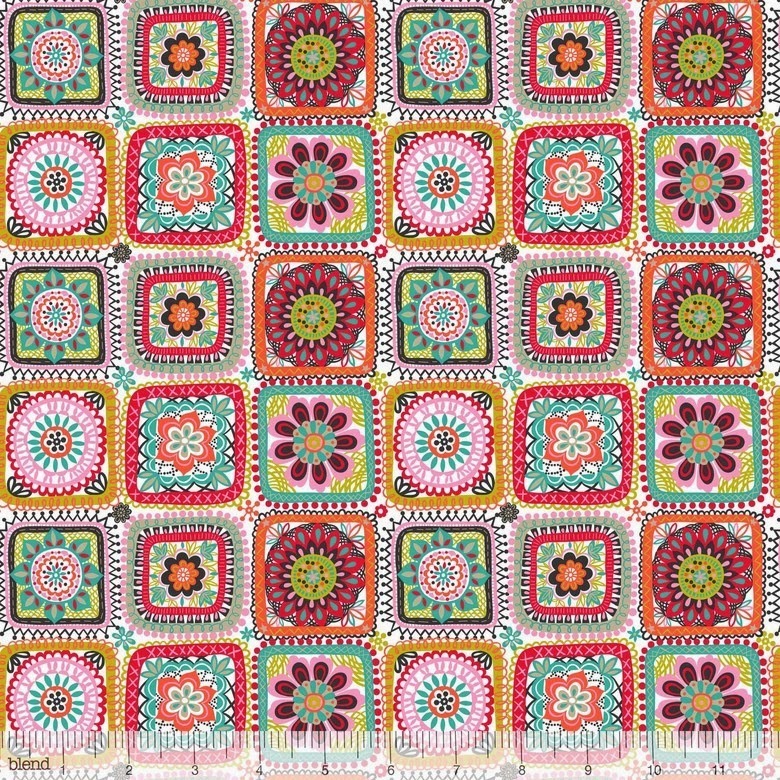 I think the Granny Squares print (shown in the white colour way) would make a wonderful backing and lining fabric- imagine this inside a shoulder bag! 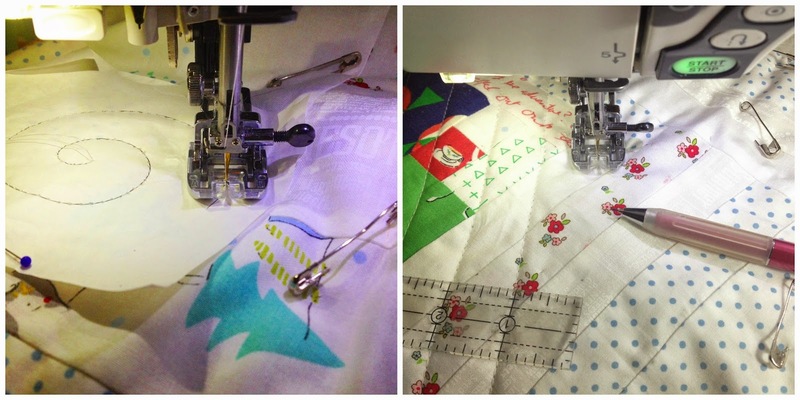 The grid layout makes it easy to quilt too. 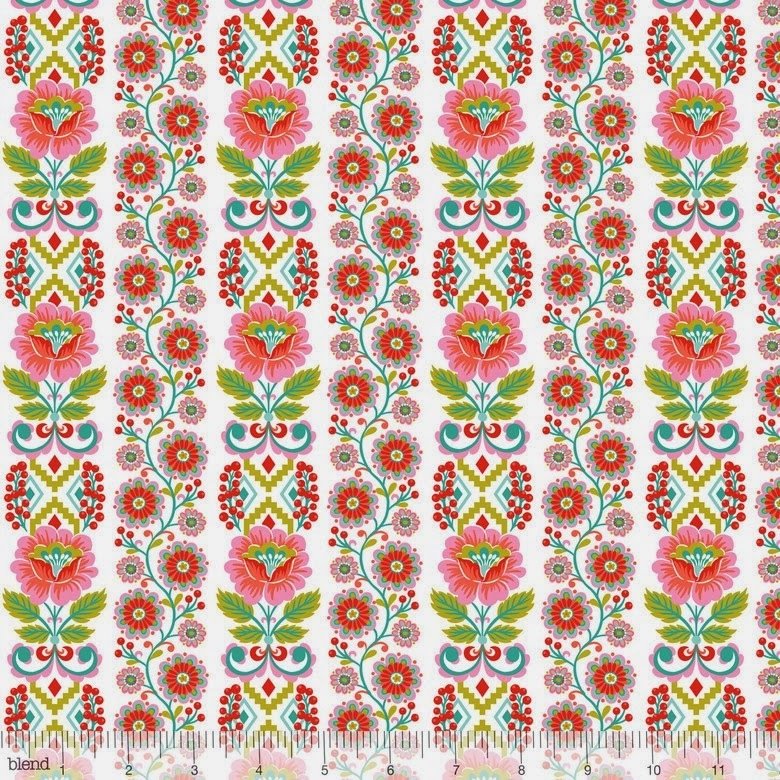 As for this beautiful Ribbon Bloom print, I am swooning at this one with its European style florals. 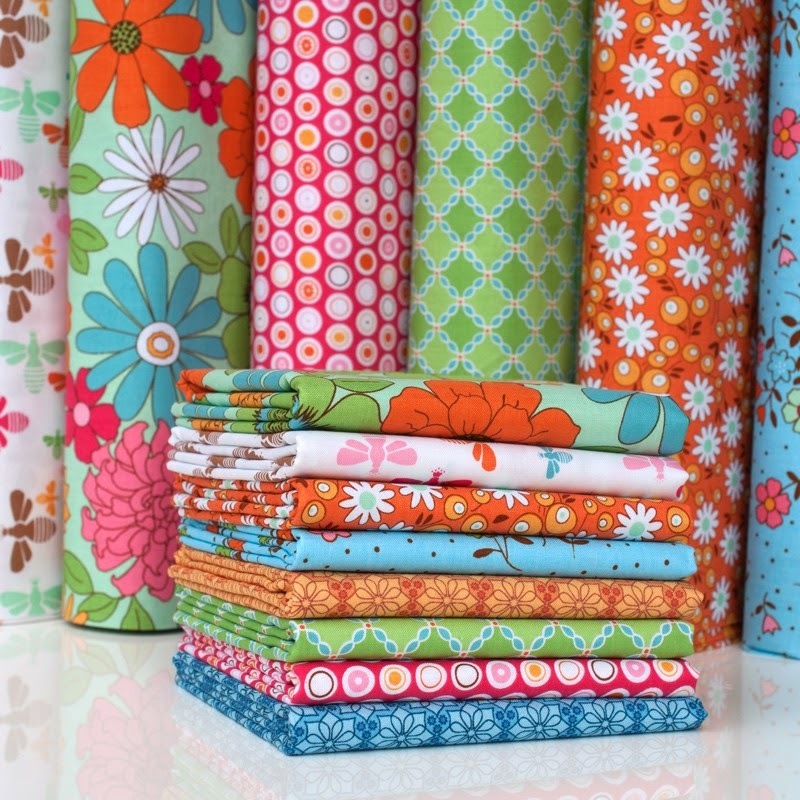 A great fabric range! Go and investigate the other Red Riding Hood prints, you won't be disappointed! 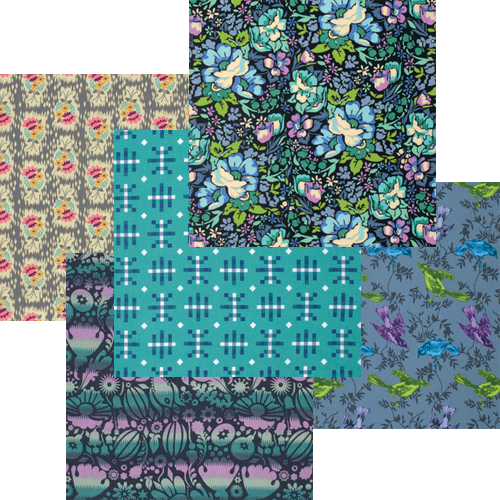 These prints, as with Birch fabrics previous knit fabrics, these 115cm width rather than the wider140/150cm width of many jersey fabrics so watch out if you are buying for a specific pattern. 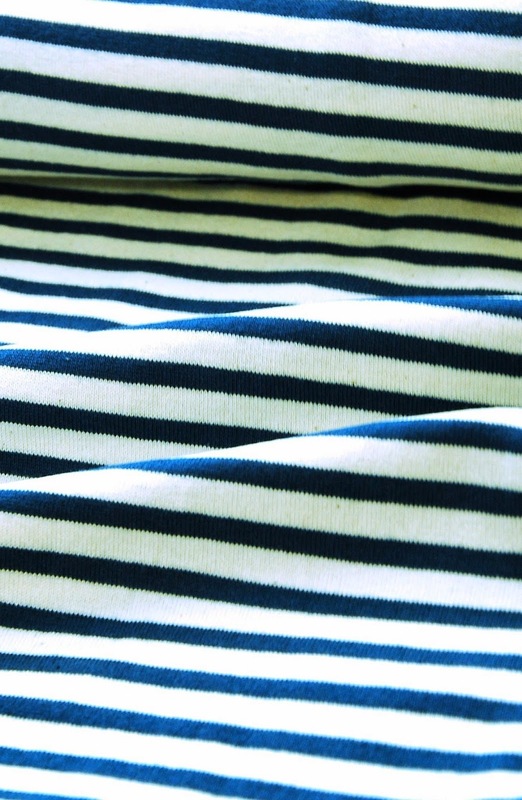 If you are after a classic print, how about this Japanese Kiyohara navy striped cotton jersey? Enjoy your browse and your discount! Prices have already been calculated for you. 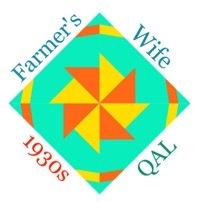 On the second of my monthly sponsor visit posts, timed so you can order before Christmas, I'm off to Village Haberdashery. 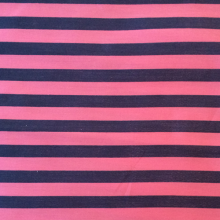 I suspect my visit is very well timed as Annie loaded a stack of new fabrics to the website yesterday, including these beautiful silks: Hot Pink Ponies, and Pink and Navy Stripes. I haven't a huge experience sewing with silk- I have done a little and I know you need a very fine needle- I think I used 70 Microtex which is extra pointy, and supersharp pins. 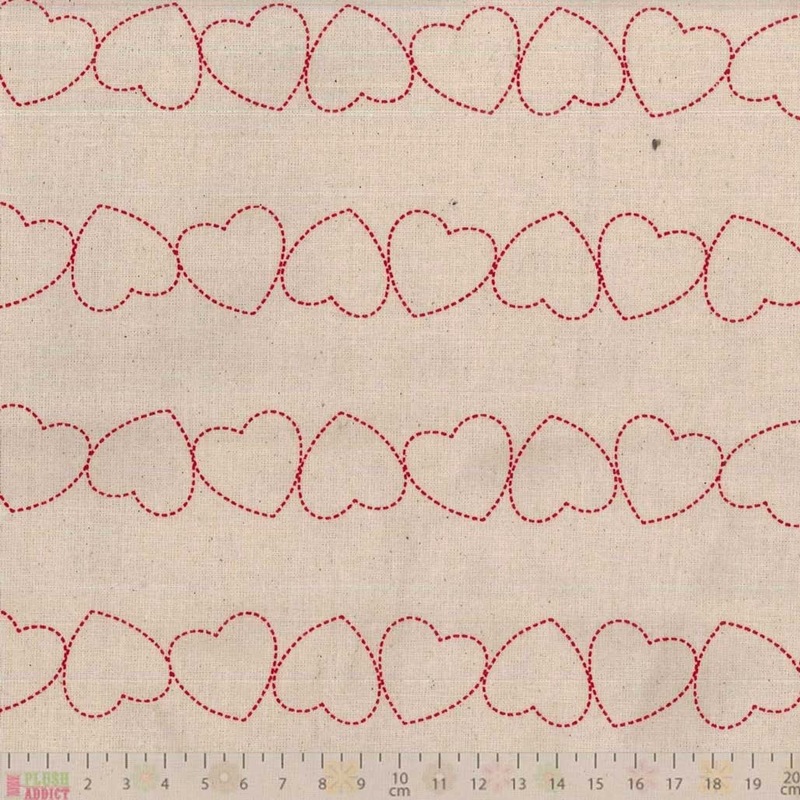 You could go wild and sew a slip, there's a slip pattern included as part of April Rhodes date night dress which Winnie made beautifully here. 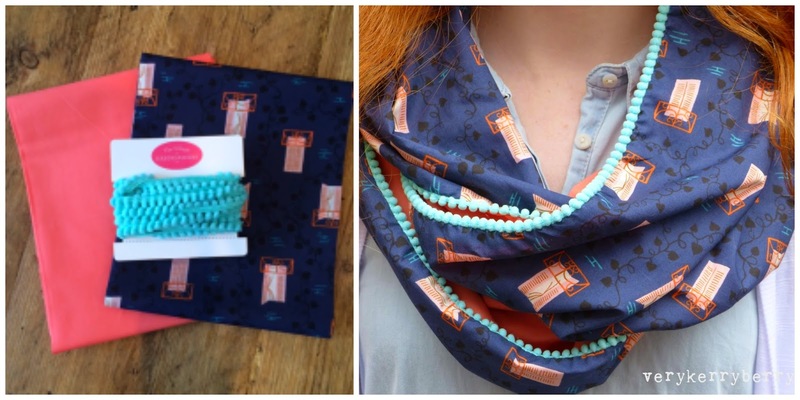 Or, you could buy a small amount- a metre, and make a Simple Scarf. 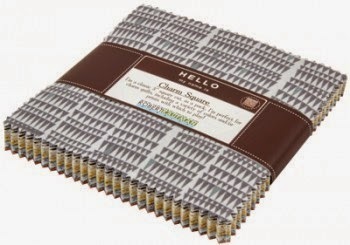 I am tempted to by a little and use it on dress facings for a bit of inner luxury! 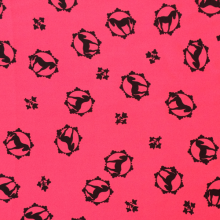 There's an amazing solid fuchsia pink available too. 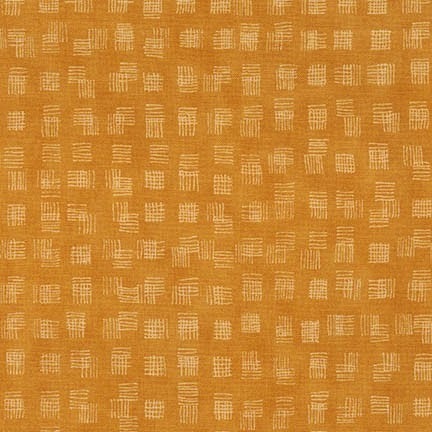 This is my favourite, Hand Picked in Ecru, no surprises there. 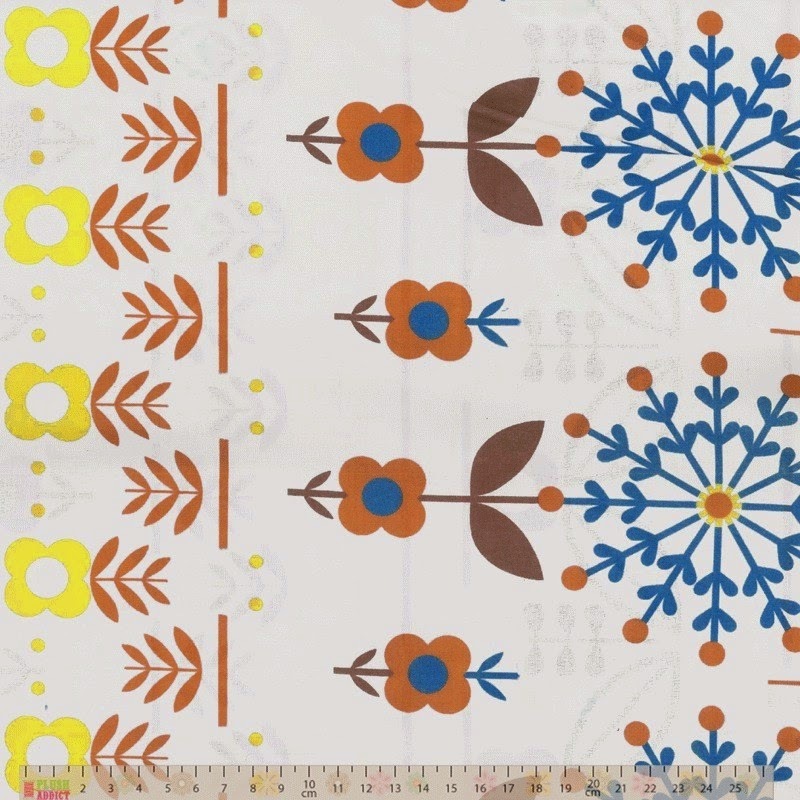 I like the way the print runs both ways vertically- this is always a bonus as it makes fabric usage more economical, especially when dressmaking. For the confident dressmaker, new in, some sparkly grey and metallic wool boucle- that's boucle not Bublé. If you are not familiar with Bublé boucle, it is a slubby, nubbly fabric with soft loopy curls that form part of the weave. 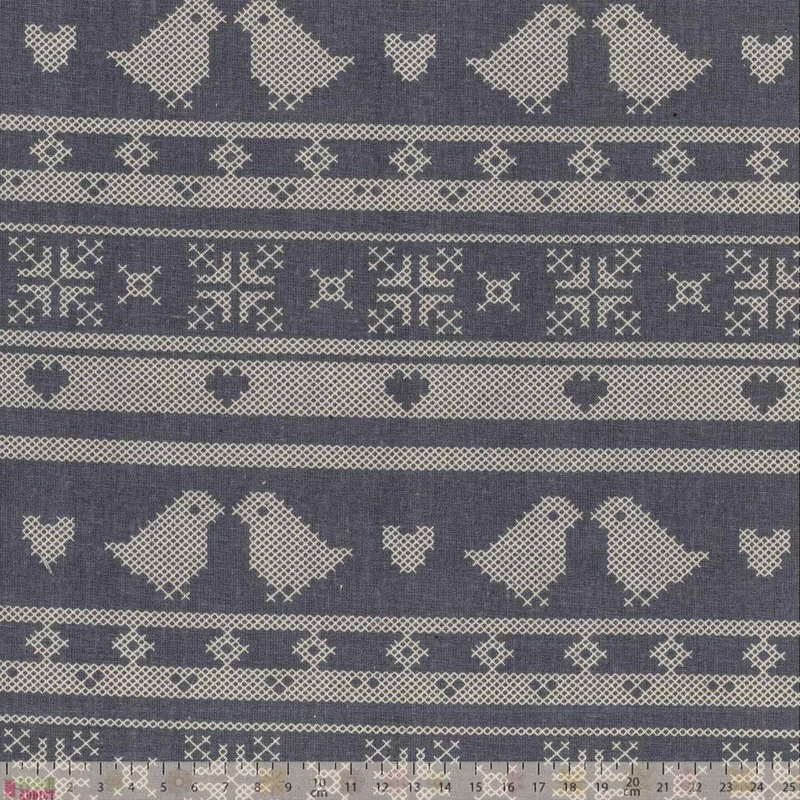 This version is a woven and boucle is classically used with a lining in coats, jackets and tailored dresses/skirts/trousers. Annie has more boucle here including an amazing neon orange. The Party Bunting Kit with all the fabric and supplies to make three metres of bunting will bring you almost instant decor with a touch of glam and the free instructions are here. 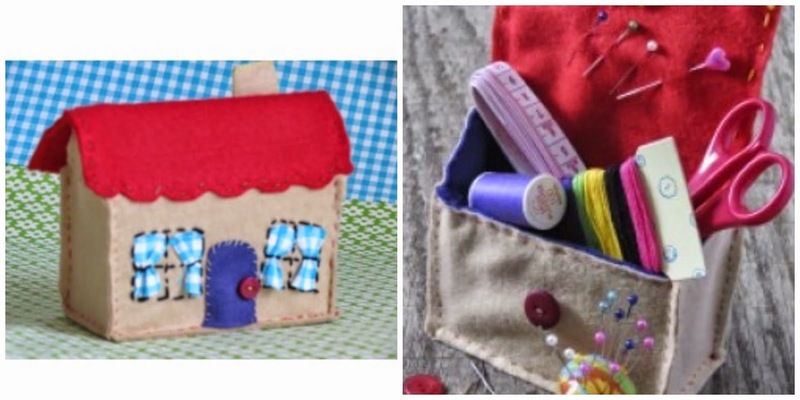 The ten year old Kerry would have loved to receive this charming Buttonbag Sew a Cottage kit. 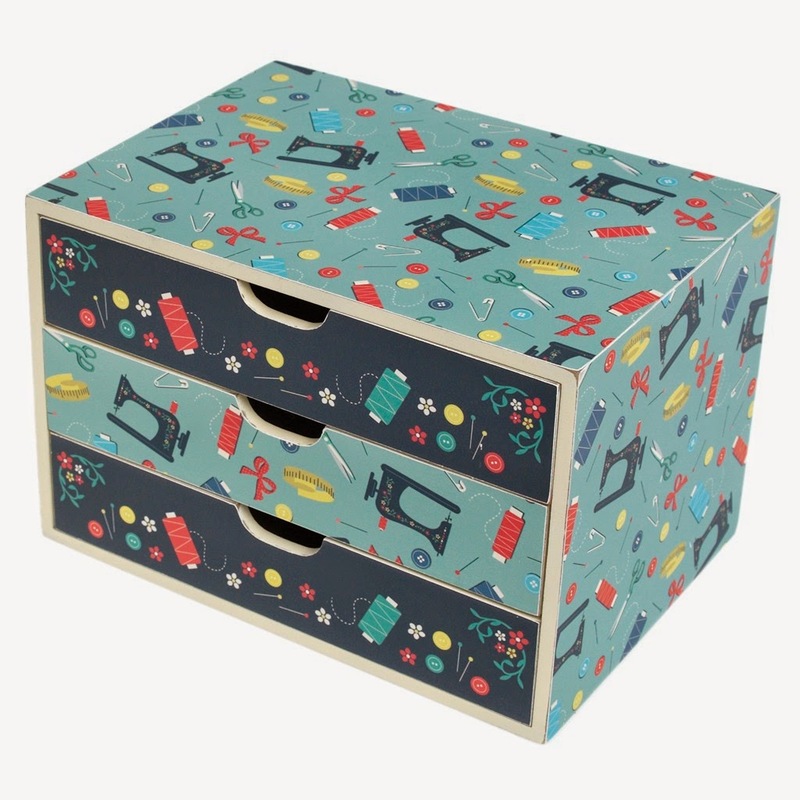 The cottage opens to make a storage box-very cute! Wanting a straightforward snuggly everyday make? 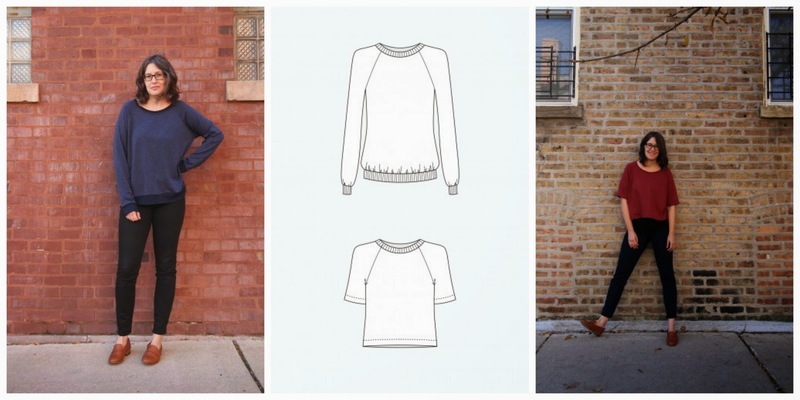 You may be tempted by the Grainline Linden Sweatshirt pattern. You can find sweatshirt and ribbing here. 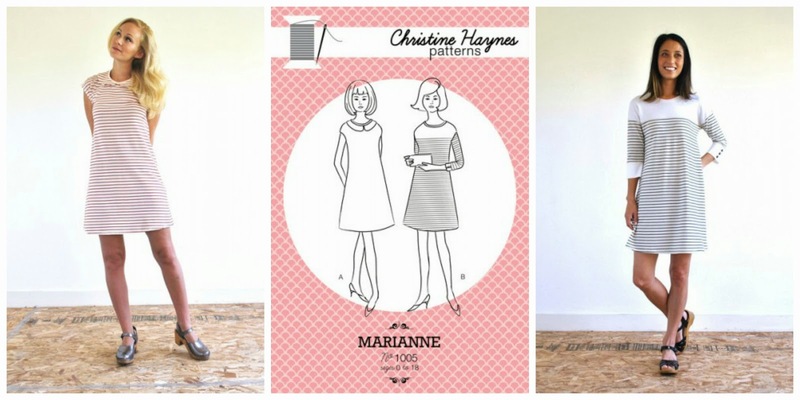 If you prefer a more dressy but equally easy to wear lounge style, Christine Hayne's new Marianne knit dress pattern is in stock with some cool little details like buttoned cuffs and a peter pan collar. Find stripy and plain stable interlock knits (which are a dream to work with) here. 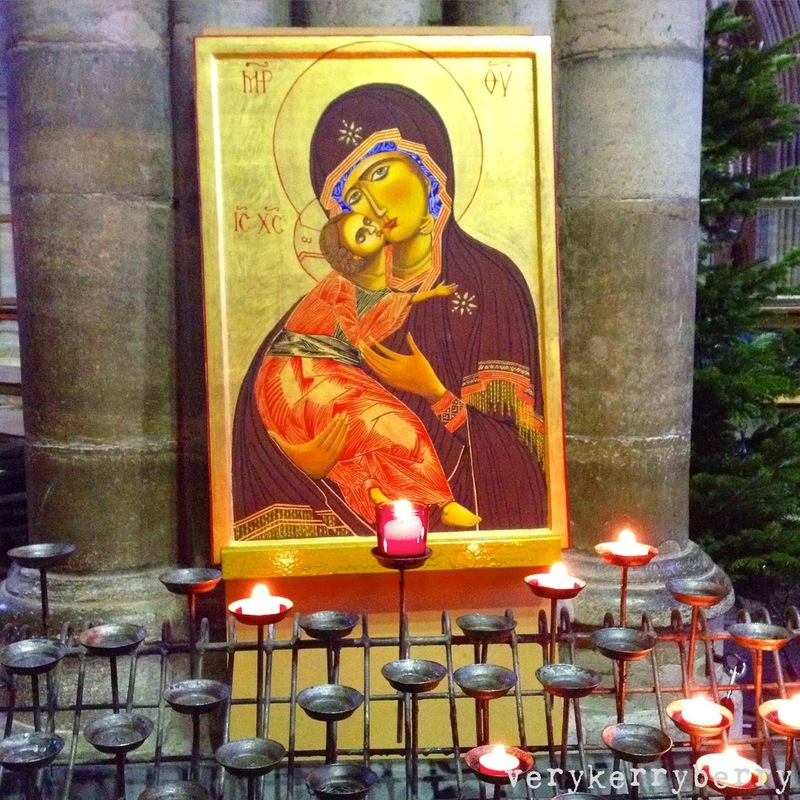 Let's finish with something a little Christmassy. 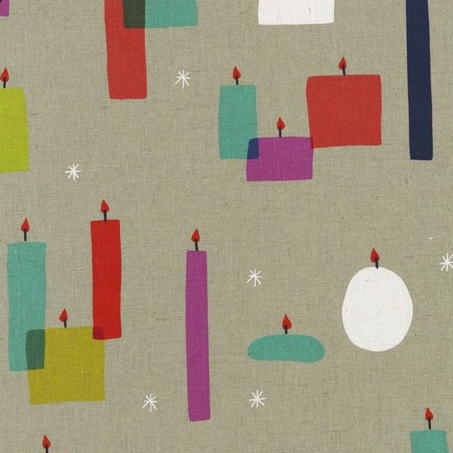 'Light a Candle' canvas by Rashida Coleman Hale. 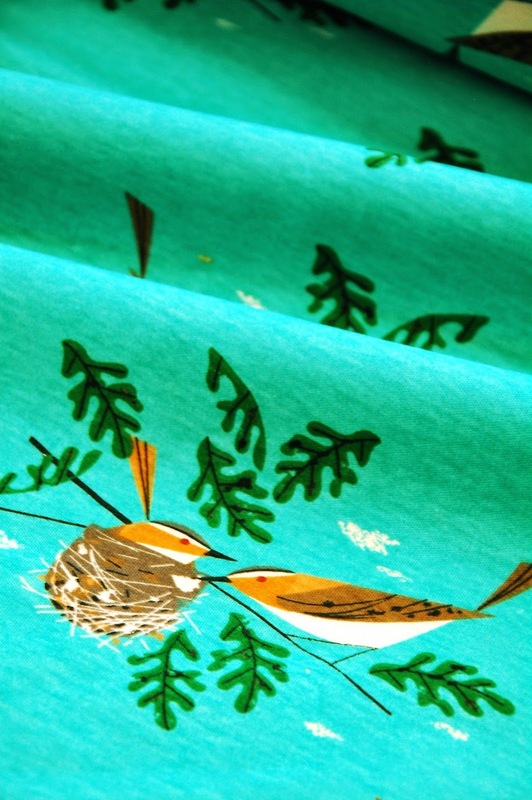 I just love this print, I can't believe I haven't bought it yet. I don't think I want to make anything with it, just stretch it over a canvas and enjoy it as a beautiful thing. Its a busy month for making and busy for posting too so I am going to squeeze my three monthly sponsor visits into the next few days week to give you time to find presents and supplies- should you be so inclined and to give the shops time to get orders out before the Royal Mail gets swamped! So first up is Plush Addict. I checked the weight and ordered a sample first and Kellie sent me her helpful guide to denim. 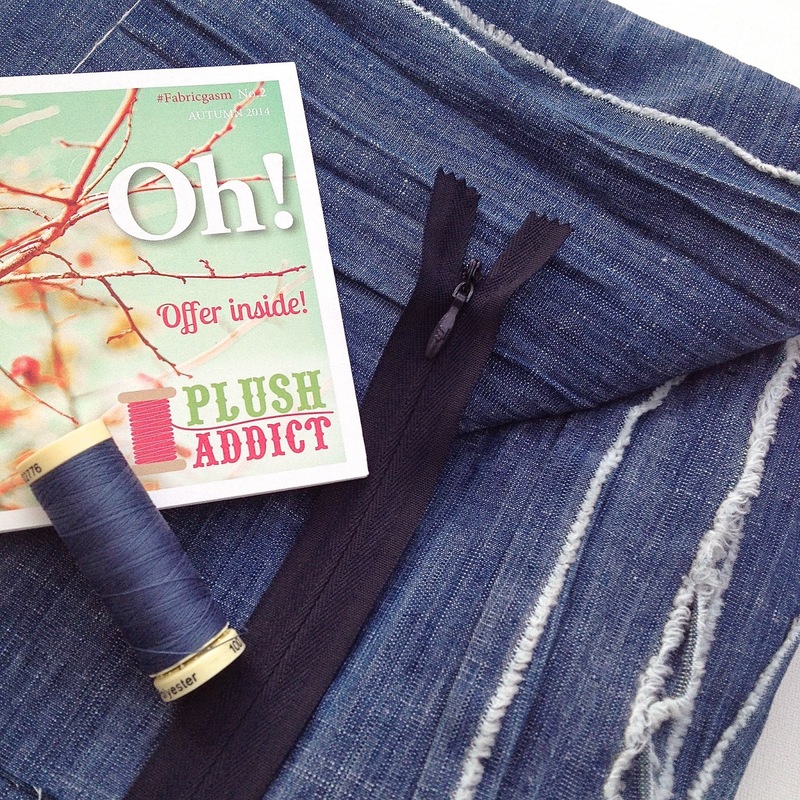 Plush Addict offer a colour matching service so I added the Guterman sew all thread in too. I would describe this as dress weight. It will make a great long gathered skirt- I have a Maxi Opale planned. It would also be suitable for a substantial shirt, or a full skirted dress but if you were making a pair of fitted trousers or pencil skirt, you would need to use a lining to add more body. It is also available in a lighter blue. You can find the concealed zips here and the Gutermann sew all thread- my go to for dressmaking- here. The colour matching service is at the checkout- just say what you need matching! They are 60" wide too so great value. Fancy something cosier? 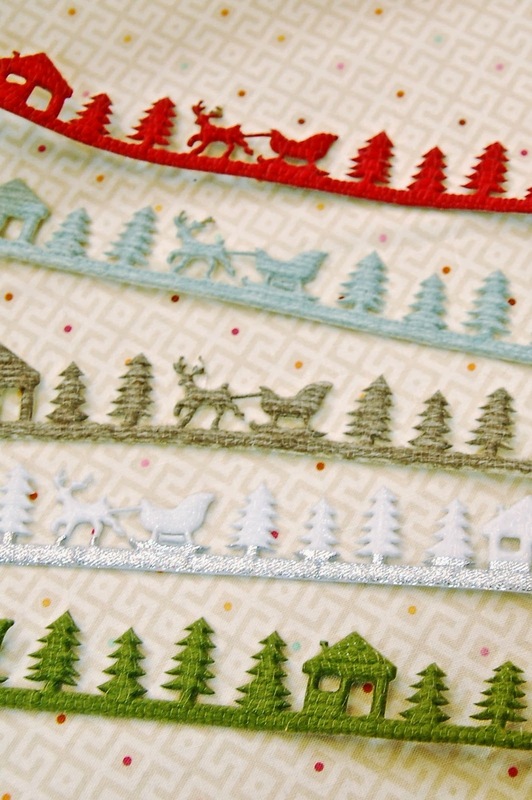 Plush Addict has an exceptional selection of fleece, plush and specialist fabrics. 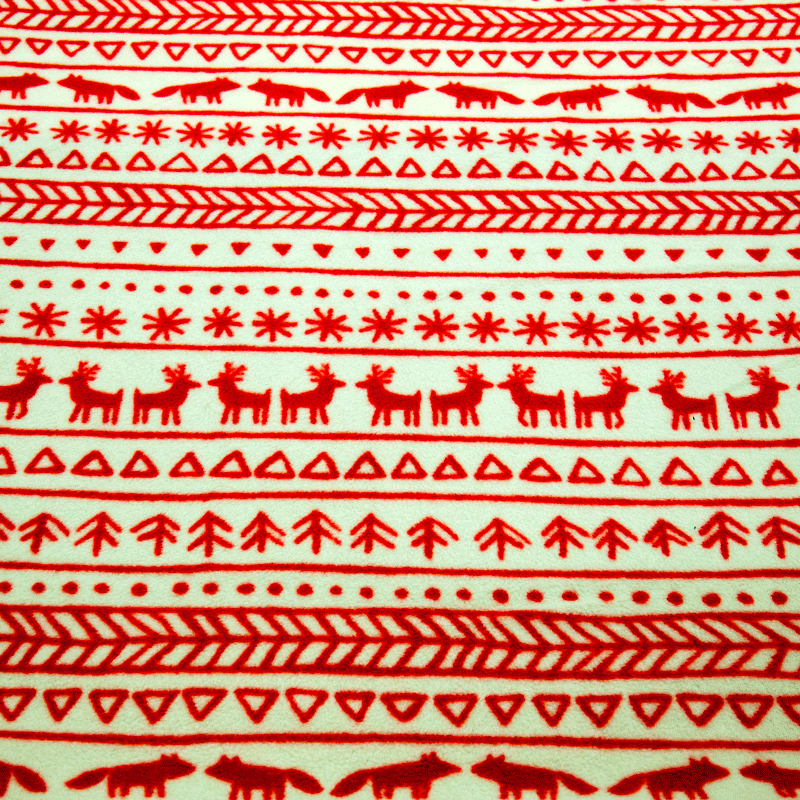 This Scandi polar fleece would make a lovely simple poncho or sweatshirt, PJ pants or if you are more ambitious, a onesie? It is very thick so its easier to cut in a single layer. Treat it as a 'nap' fabric so that all the fleece pile lies the same way. I find it blunts my scissors so I tend to use older scissors rather than my best- although the do need to be pretty sharp to cut through it. I don't iron- I fear it will melt! Use something to flatten seams, I use a tailors clapper. Wonder clips are easier than pins. If you can, reduce the foot pressure on your machine. You tend to make more active garments from fleece so you may want to use a zig zag rather than a straight stitch, or even a stretch lightening stitch if your machine has one. On the plus side, it doesn't fray so no seam neatening is required. 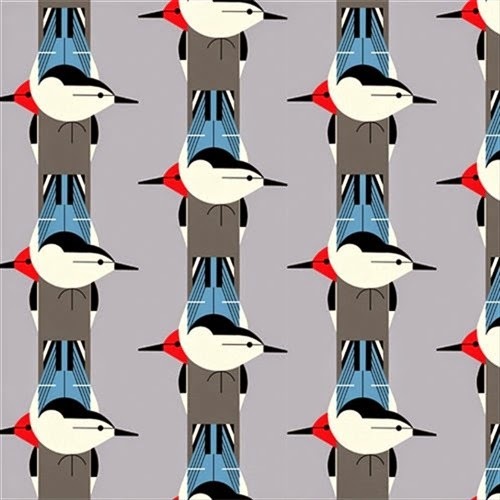 And I love the steely blue/grey in this wintery print (also bargain priced). Maybe you are looking for presents for yourself? 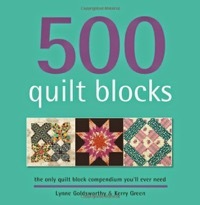 May I suggest a few FQ bundles. 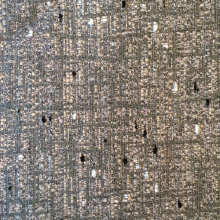 All the background fabrics had a white base. I find white fabrics relatively hard to find- I have an excess of creams, but few whites. 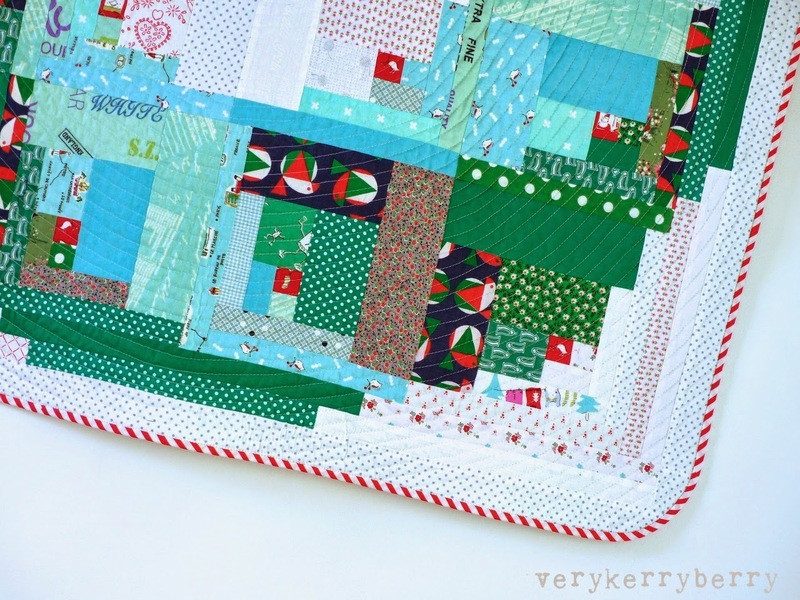 I stuck to spiral quilting using my downloadable printable spiral starter to get the quilting going. I printed this on very thin cheap paper, cut to size, pinned on and tore off. The method is here. For quilt basting, I starch the quilt front and back so they are very flat and stable. I then use Rita Red Pepper Quilts basting tutorial and follow it precisely- I find it very successful, even though I hate basting quilts. I also use a Kwik clip- an invaluable tool, your fingers will thank you profusely. I had a few problems with my machine foot and the quilt bar so instead I used a small ruler and my trusty, much used Sewline fabric pencil to follow the spiral. 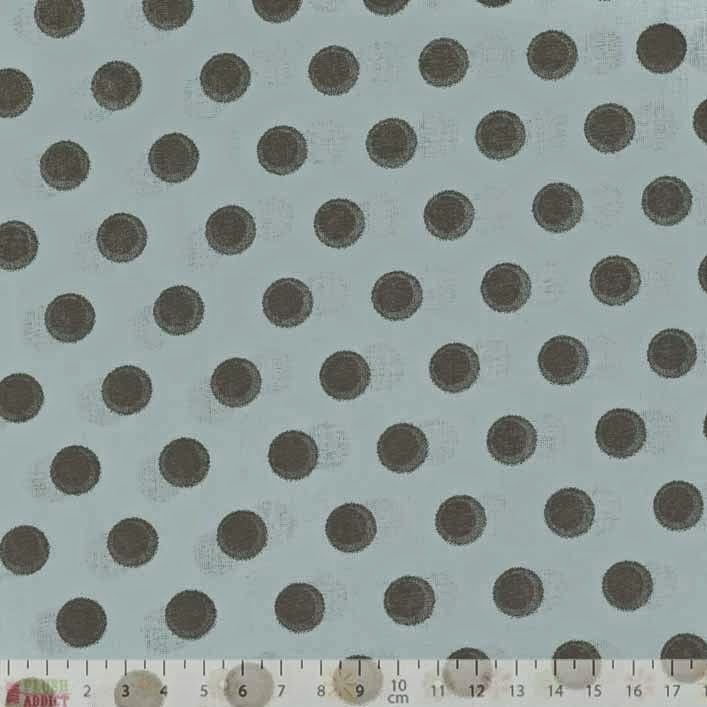 I made dots approx. 4" ahead of where I was sewing. I looked to the dot as I stitched, just like a ballerina looks to a constant location for multiple turns, I looked to the next dot rather than at the sewing foot and this helped the flow of the stitches. It's not perfect but it's perfect enough for me. 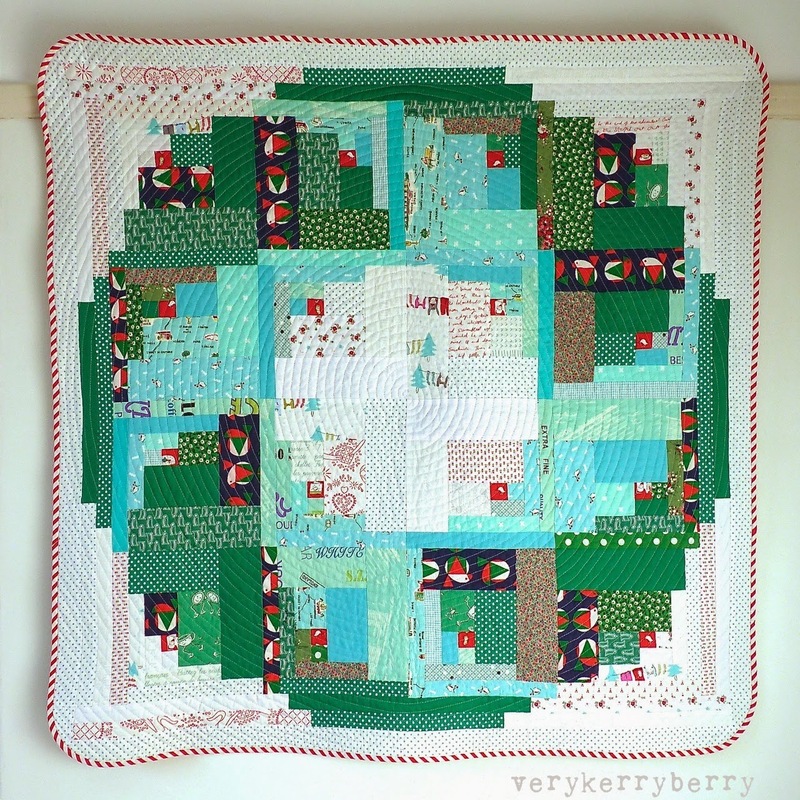 Spiral quilting is one of my favourite ways to quilt. To make it denser, I sewed a second spiral within the first so the final quilting lines are ½" apart. 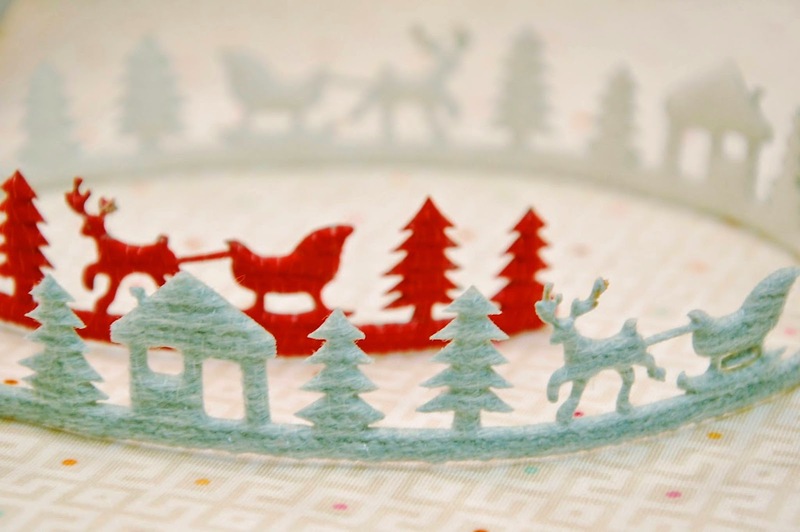 I decided to round the corners to echo the curves of the wreath. 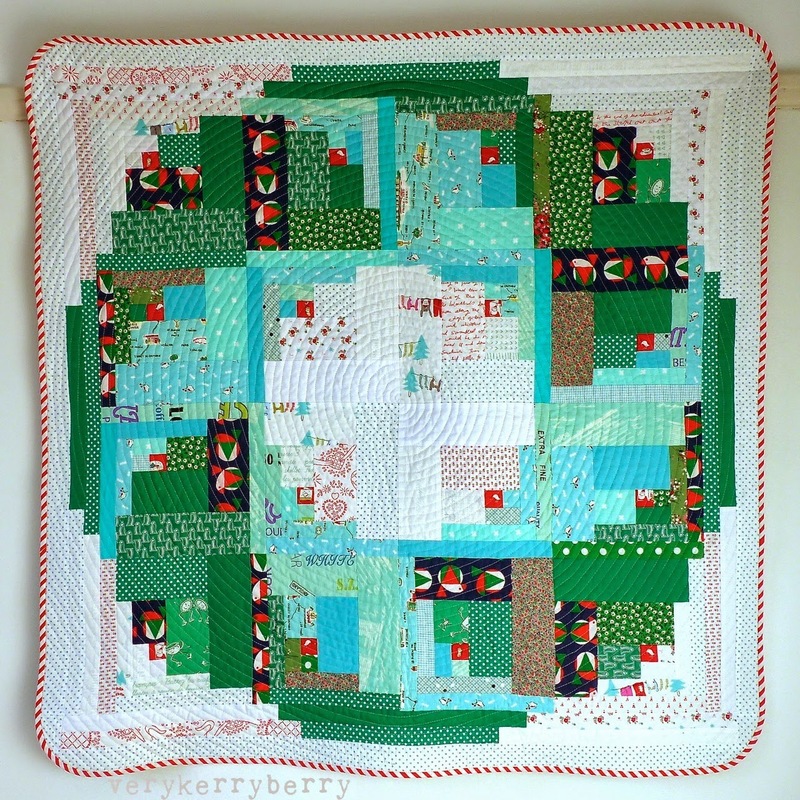 I did it the same way as I did on my Wonky Circle of Stars quilt. 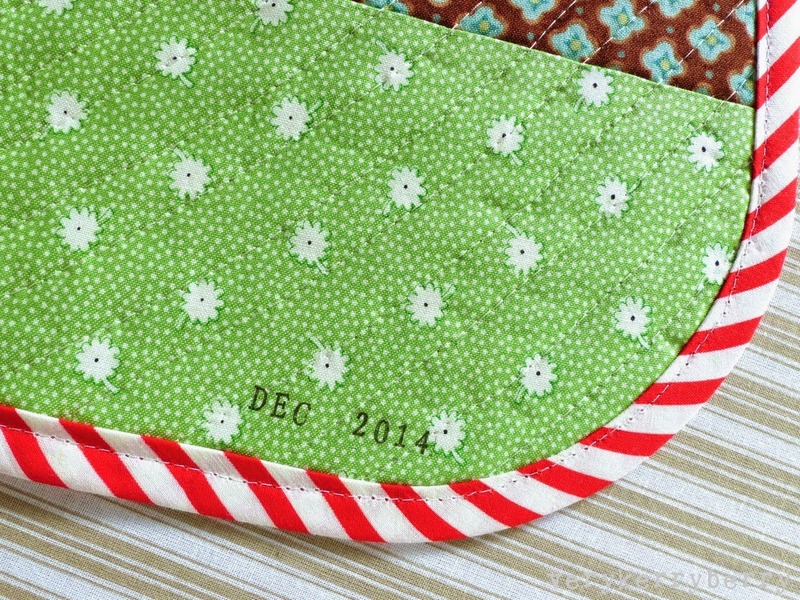 I glue basted my bias binding- see here for method. 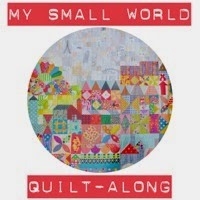 The stamp is as far as quilt labelling goes for me- just a reminder of when it was made! I use a Versacraft ink pad. I added a quilt sleeve so I could hang the finished quilt on the wall. I ended up using the sleeve as a way to push drawing pins through fabric and into the picture rail whilst keeping the quilt away from the pins. A little adhoc but it has worked. 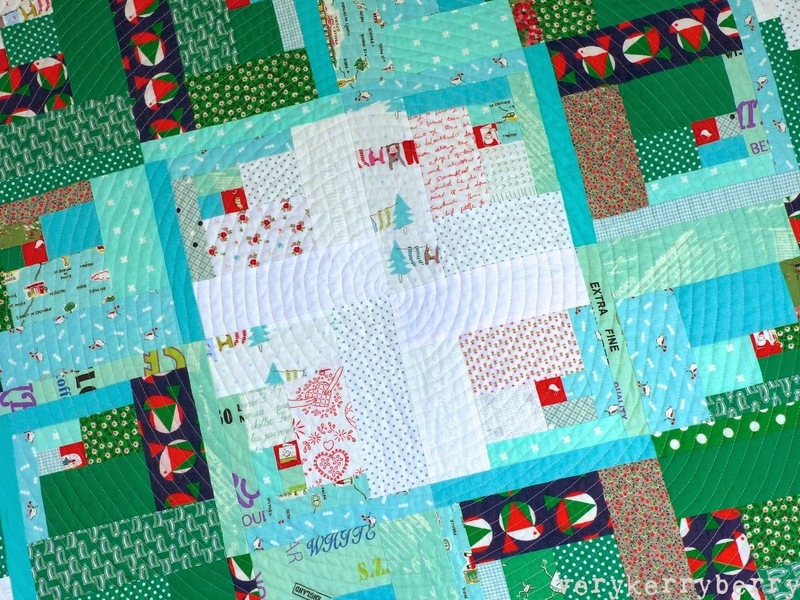 I am so happy with the result, a very happy winter quilt indeed! 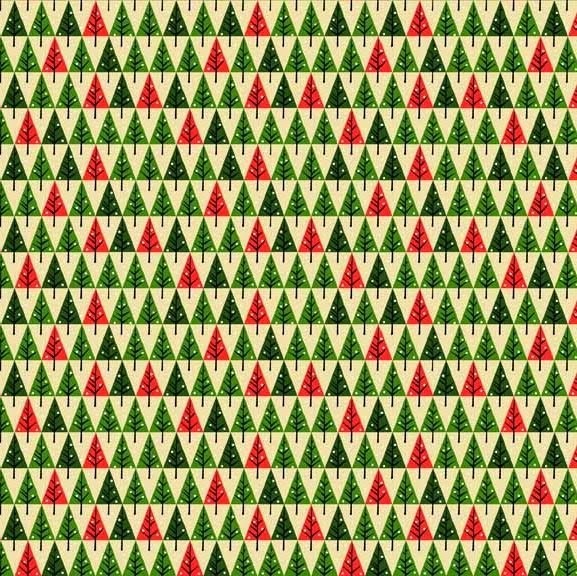 Thankyou Jessie for great pattern, I would love to have though of this.